In the series of learning FPGA project , here is simple little project to measure frequency with counter and few 7 segment display. 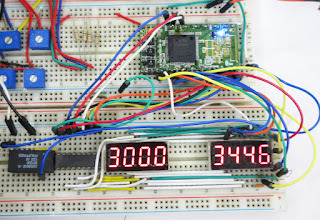 there is nothing much to it actually , you need a counter (count) which increments with the rising edge of input signal (sigin) and you have to have a control (gate) through gate when counter counts when it does not. 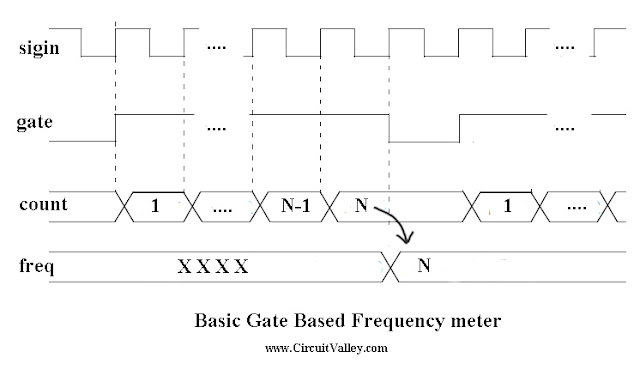 so if you keep gate open for 1sec flat , so after 1sec the value you have with the counter (count ) is your frequency. Now we need to update this value to frequency display . 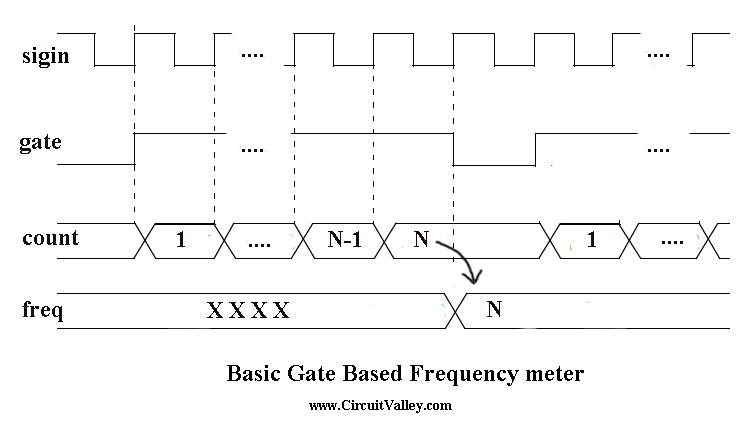 as soon as gate time expires it put the value of count to frequency display register. for next sample gate pulse again go high and clear the count register also. input clk; // connections to the module. 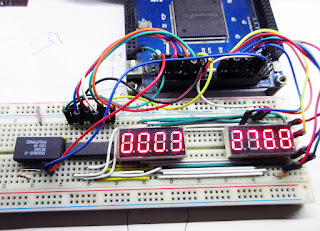 after this you have a binary data in freq but to be displayed at 7 segment display you need to first covert it into BCD , which will be done by bin_to_bcd.v module, and then take that bcd and covert it to 7 segment code that is done by bcd_to_seg.v , all the source code is available at my github repo. 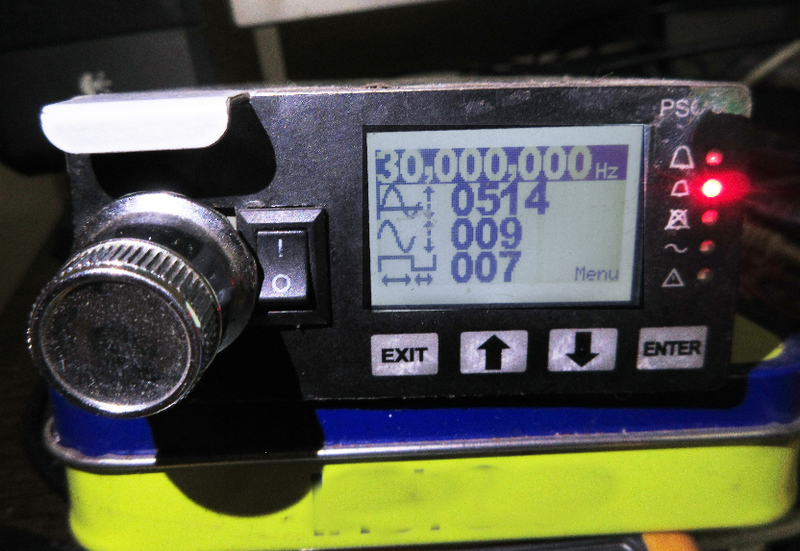 What would be the maximum frequency this could detect? Would it work up to 125MHz? certainly it can , but as it has only 8 digit , either you add one more digit or you have resolution of 10Hz instead 1Hz. in both case little modification to verilog code is required. 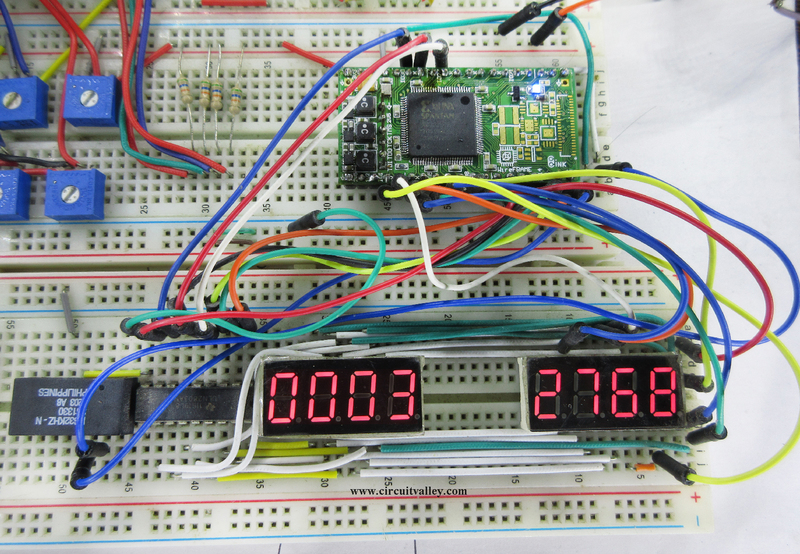 Are you using a 555 timer to generate the waveform and frequency for the FPGA board?